Thanksgiving was an unusually meager affair at the box office this year, and most Americans preferred a round of reheated leftovers to the new entrees being served up for the holiday. 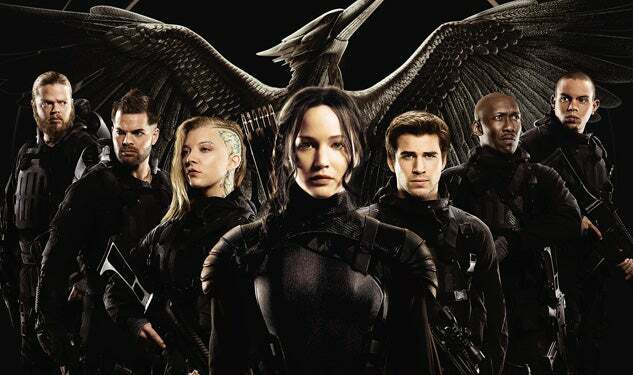 The Hunger Games: Mockingjay earned $82.6 million domestic in its second weekend in theatres. Its North American cumulative is now $225.7 million. It is still well behind Catching Fire, which had earned $296.3 million in the same two frames last year. Comparisons aside, revenues of this magnitude should only be considered an outright success for any film with a reported $125 million budget. And with a huge foreign take so far, it was at $67.3 million for the three-day period. It ranked number one in thirty-six of eighty-five external markets. In Germany, the film picked up $7 million and now holds a $23.45 million cumulative over two frames. Italy contributed $2.2 million to reach an $8.9 million cumulative, while the traditionally meager Scandinavian market produced $3.4 million. Mockingjay has now made $14.6 million from the Nordic territories. Mexico and Brazil, the two biggest Latin American markets, have been particularly receptive to this third entry in Lionsgate’s juggernaut young-adult tetralogy. It had a $4.4 million return weekend in the Central America’s most populous nation, while the South American giant was good for $3.4 million. It sits at a cumulative of $18.5 million and $14.3 million in each country, respectively. The Anglo-sphere was also very receptive to the picture. It made $1.4 million in Australia, and arrived at a $13.6 million cumulative. In the UK, which was Catching Fire’s top foreign market, it continued the trend with an $8.2 million sophomore frame. So far, it has made $32.8 million in Great Britain and and Northern Ireland. Overall, it’s combined foreign and domestic cumulative from just two frames is $480 million. With the indomitable Mockinjay picking up the majority of the holiday bounty, Penguins of Madagascar was left fighting for scraps with a not entirely deflated Big Hero 6. This $132 million picture made just $25.6 million in its domestic debut. Foreign numbers were a bit better but still not enough to save the party. It had a strong showing in Russia, with $8.23 million. China, which has been saving grace of many films lately, was also not so receptive to the DreamWorks’ production. It made just $5.3 million in the Middle Kingdom. There were, however, a few small positive notes. It opened at $1.04 million from just 65 theatres in Singapore and finished first in the densely populated city-state. The high point came in Italy where it beat Mockingjay to finish the frame in the top spot with $4.63 million. Whereas Penguins had a couple bright spots in a disappointing frame, this weekend’s only other major Hollywood release, Horrible Bosses 2, had a weak debut. It made $15.6 million over the weekend and just $23 million over the five-day holiday period. After the surprising success of the original and the addition of Christoph Waltz and Chris Pine to an already marketable cast including Kevin Spacey, Jennifer Anniston, and Jason Bateman, Warner Bros. would have hoped for a stronger opening weekend for this $43 million sequel. Overseas it managed $11.7 million from 43 territories, with the highlight of its modest launch coming from Russia, where it earned $2.3 million and finished third. On the specialty market, this weekend’s biggest success was the British WW2 drama The Imitation Game, which centers on famed mathematician and computer scientist Alan Turing and the race to decipher Nazi Germany’s encrypted communications. It opened in four New York and Los Angeles theatres, earning $482,000 for an outstanding location average of $120,500. There will be no major openings next week, as studious save their remaining offerings for the lucrative Holiday season later in December.